I absolutely love the retro vibe of the Anytime sunnies made by New-Zealand-based designer Karen Walker. With their cartoonish cat eye, oversized and thicker frames, these statement shades add instant glam to any outfit. Though I find the classic black frame gorgeous, I am particularly fond of the tortoiseshell one. 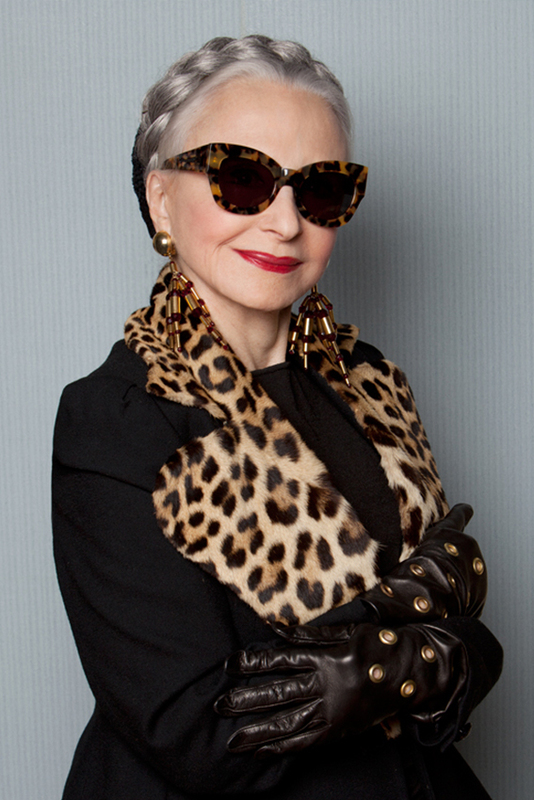 How stunning is the 80-year-old goddesss Joyce Carpati, which appears in the latest Karen Walker ad campaign? That's one stylish lady! 2 comments on "Karen Walker Anytime Eyewear"
Indeed, she looks amazing! She is a true style inspiration.